Kazakhstan's new interim President was sworn in on Wednesday following the shock resignatlon of the country’s long-time ruler‚ and in his first official act re named the capital after his predecessor. ● Kassym-Jomart Tokayev took office in less than 24 hours after Nursultan Nazarbayev, the only leader an independent Kazakhstan had ever known, suddenly announced resignation. ● Mr. Tokayev immediately proposed changing the name of the Central Asian nation’s capital from Astana to Nursultan, or ‘Sultan of Light’ in Kazakh, and Parliament approved the change within hours. ● The Senate also appointed Mr. Nazarbayev’s eldest daughter Dariga Nazarbayeva as Speaker, setting her Up as a potential contender to succeed her father. the country he ruled for nearly three decades. Mr. Tokayev told lawmakers that Mr. Nazarbayev had “shown wisdom” by deciding to step down, a rare move in ex-Soviet Central Asia where other leaders have stayed in power until death. ● “Yesterday, the world witnessed a historic event,” Mr. Tokayev said, hailing Mr. Nazarbayev as a visionary reformer. 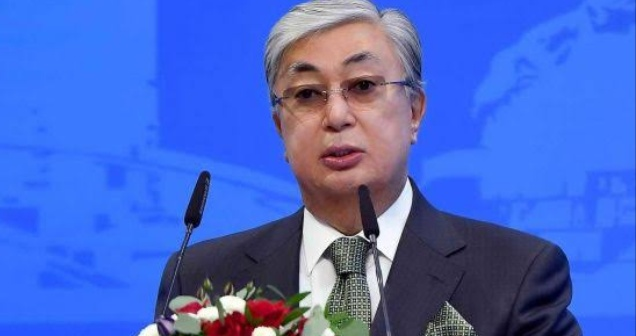 ● “The results of an independent Kazakhstan are there for all to see,” Mr. Tokayev said. Mr. Nazarbayev changed the capital from Kazakhstan’s largest city Almaty to Astana in 1997, transforming it from a minor provincial town into a futuristic city of skyscrapers rising from the steppes.